The Ditch Witch 1330 is a compact hydraulic trencher that is built for low maintenance, high reliability and a solid return on investment. It is a reliable investment for rental yards, landscapers, irrigation contractors and utility contractors. Fuel Tank Capacity 1.7 gal. Bore x Stroke 3.5 x 2.5 in. Trench Width 4.3 - 6 in. Spoils Discharge Reach 10.6 in. 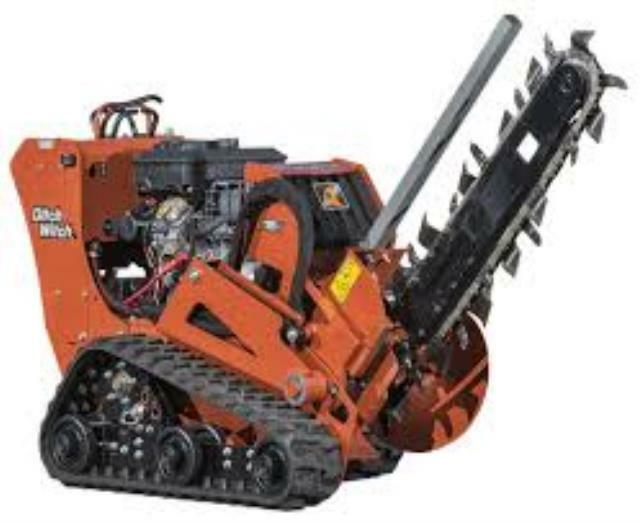 * Please call us with any questions about our trencher walk behind rentals in Fallbrook CA, Temecula, Camp Pendleton, Bonsall, Escondido, Twentynine Palms and Northern San Diego County.